Justice Marsha Slough speaking at her confirmation hearing. 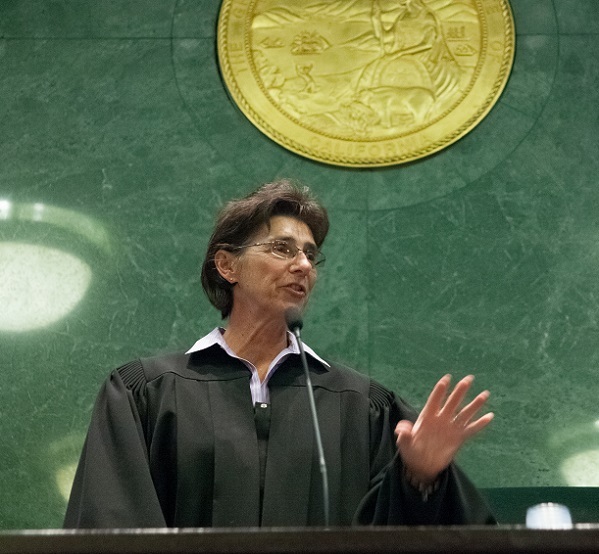 In December 2015, Governor Jerry Brown appointed two Judicial Council members to the appellate bench: San Bernardino Judge Marsha G. Slough to the Fourth District Court of Appeal and San Luis Obispo Judge Martin J. Tangeman to the Second District Court of Appeal. Both were confirmed by the Commission of Judicial Appointments on February 22nd, 2016. 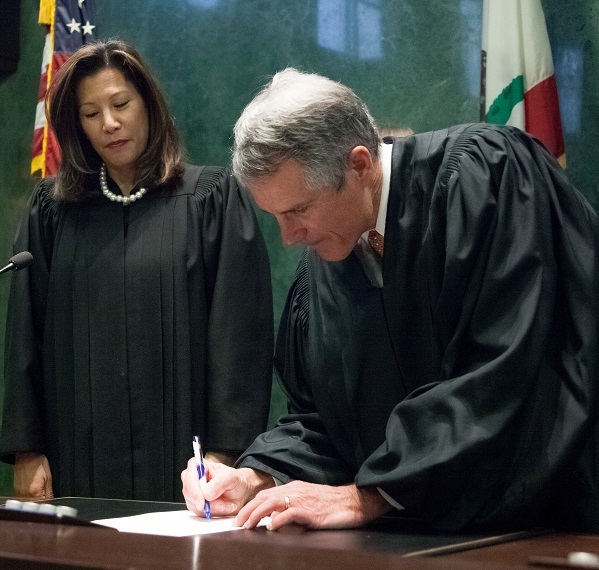 Chief Justice Tani G. Cantil-Sakauye reappointed Justice Slough to the Judicial Council as a non-voting advisory member. What is the Commission on Judicial Appointments?